Scientists have discovered a new African dinosaur that sheds new light on the history of the continents‘ dinosaurs. While we’ve discovered a good amount of dinosaur fossils over the years, bones from the final days of the dinosaurs are far rarer. This fact made the discovery of a new species of African dinosaur all the more exciting, due to its age putting it walking the Earth around 80 million years ago. The BBC reports that the new species of African dinosaur was an herbivore, and was around the length of a school bus while weighing around the same as an elephant. 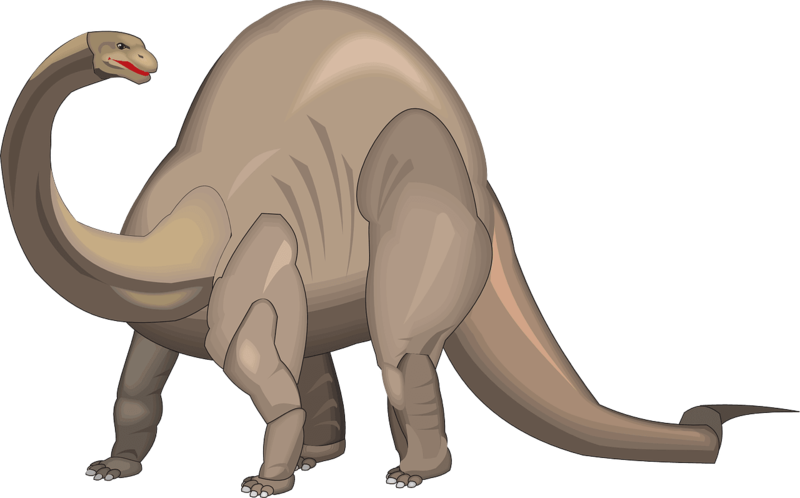 The dino had a long neck for reaching trees, and had bony plates embedded in its skin. The recent discovery of the new species of African dinosaur came from an expedition from paleontologists from the Mansoura University of Egypt. The new dinosaur, named Mansourasaurus shahinae has been hailed as a crucial discovery for the world of scientists. Dr. Hesham Sallam of Mansoura University, the head of the research expedition, told the BBC that “it was thrilling for my students to uncover bone after bone, as each new element we recovered helped to reveal who this giant dinosaur was.” He added that we should discover more about the African dinosaur and its relatives in the years to come. The evolution of the African dinosaur is largely a mystery – especially in the 30 million years leading up to the mass extinction event. The discovery of this new specimen that walked the Earth so recently has massive implications for paleontology, giving scientists a better look at what dinosaur life was like in this relatively unstudied area and time period. The African dinosaur fossils are difficult to find, largely because a lot of the area is covered in vegetation rather than with exposed rock that had led to bigger finds elsewhere. The BBC reports that by taking a close look at the anatomical features of its bones, the scientists were able to determine that Mansourasaurus was more closely related to dinosaurs from Europe and Asia than it was to those further south in Africa or South America. This discovery suggests that, during the end of dinosaurs’ time on Earth, they were able to move between those continents. As a discovery not only important to paleontology, but to the study of our Earth’s history in general, the unearthing of this African dinosaur may soon lead to jumps in our knowledge of the Cretaceous Period and the migration of animals during that period of time.